For decades luxury automakers along the lines of Mercedes Benz, Jaguar, Ferrari, BMW, Lexus, Lincoln Continental, Porsche and Audi have offered pre-owned automobiles and sport cars to consumers in addition to their newly released models. Most of these pre-owned automobiles are late-model, high-quality vehicles with little or no mileage and wear and tear that have gone through a comprehensive inspection and thorough restoration to provide a “just-like-new” operation and look both inside and out. 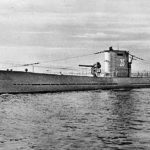 What’s more they are considerably more affordable than new models. Prestigious high-end wristwatches are very much like these well-crafted, precision engineered vehicles in style, performance and appeal. 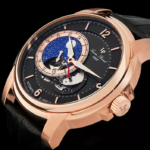 And you can now purchase pre-owned luxury watches from today’s most-sought after luxury watch brands, including Cartier, Omega, Chanel, Tudor, Bell & Ross, Frederique Constant, Maurice Lacroix, Bedat & Co. and Bvlgari at popular online retailer WorldofWatches.com, during their Pre-Owned Luxury event taking place this week. 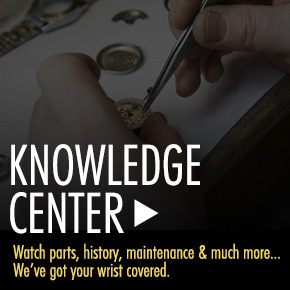 Each pre-owned watch featured in the promotion is expertly restored with original manufacturer parts and passes a comprehensive 30-point inspection. With Father’s Day less than two weeks away, there is no better time to select a distinguished wristwatch for Dad and give him a gift he will treasure this Father’s Day and future ones to come. 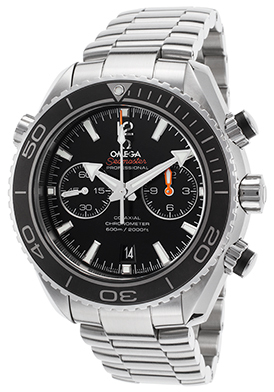 The Omega Seamaster Planet Ocean Automatic Chronograph is an excellent choice for Dad. This outstanding Swiss-made automatic men’s timepiece is a certified chronometer, a certification of precision awarded by the COSC (Official Swiss Chronometer Testing Institute). The impressive contoured case and signature link bracelet are impeccably crafted in premium grade stainless steel. The unidirectional rotating bezel with a coin-edge rim and black enamel top surface ring surrounds the black dial with two subdials, luminous arrow shaped hands and baton hour markers. Features include an automatic date calendar above the 6 o’clock hour, small-second and 12-hour registers. An exhibition caseback lets you see the intricate automatic movement inside. A locking screw-down crown, caseback and push-pieces provide water-resistance to 600 meters or 2,000 feet. Chronograph is 44mm in diameter and 19mm thick. 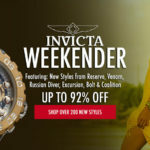 Free shipping and free returns are included on all domestic US watch purchases at WorldofWatches.